Needless to say my Halloween Contest ends tonight. Three winners of five books each. Also you can win copies of signed copies of Dark Haven and The Blood King by Gail Z. Martin. Details in my interview with Gail. You have until Midnight Monday. I have just added a giveaway for Bound to Shadows by Keri Arthur. Details here. 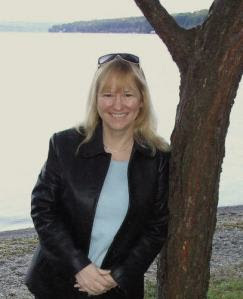 November 2 - Romance author Susan Blexrud will be visiting to talk about her writing and her newest paranormal romance Real Men Have Fangs. November 4 - Julie Kenner will be visiting to introduce her new urban fantasy series The Blood Lily Chronicles and the first book Tainted. We'll also be doing a giveaway of an an ARC of Torn and a signed copy of Carpe Demon. You can read my review of Tainted here. For fans of the Kitty Norville series, Carrie Vaughn answers the question "How many Kitty books will there be?" I have nine books planned in total. There will be an offshoot series, set in the same world and featuring Risa, Dia’s little girl. It’ll focus more on the Aedh and demons rather than vamps and werewolves. Nalini Singh says she will have a story in a new anthology next year called Burning Up along with Angela Knight, Virginia Kantra and Meljean Brook. Burned, the next House of Night book will be out May 27, 2010 according to P.C. Cast. Jessica Slade (Seduced by Shadows) is at Number One Novel talking about writing and reading, and at In Search of Heroes interviewing her hero, Ferris Archer. Joe Nassise asks the question, "What do Ramsey Campbell, Christopher Golden, Del Howison, Ellen Datlow, Deborah LeBlanc, Scott Nicholson, David Wellington and I have in common? Lynn Viehl The pitch for my third Kyndred book (title pending approval) has been accepted, and it will be a crossover Kyndred/Darkyn novel (and to avoid spoilers that's all I'm going to say about it for now), tentatively scheduled for release in late 2010. This past week the Chicago Sun-Times ran a terrific profile of author Chloe Neill (Friday Night Bites). All Things Urban Fantasy is having a triple giveaway to celebrate hitting 50+ followers. Abigail is giving away Iron Kissed by Patricia Briggs, Dark Time by Dakota Banks and Red-headed Stepchild by Jaye Wells. Contest ends Nov. 4. 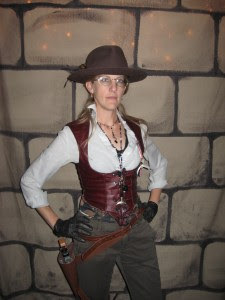 She also has a terrific round up of contests around the blogosphere here. 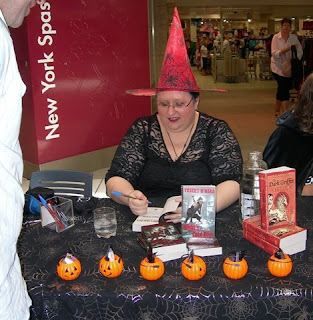 SciFiChick has autographed copies of Bite Marks, Once Bitten, Twice Shy, Another One Bites the Dust and Biting the Bullet by Jennifer Rardin. Contest ends November 20. The Story Siren has a terrific contest for a copy of Hush, Hush by Becca Fitzpatrick, a copy of Fallen by Lauren Kate, and a double sided Hush, Hush poster. Deadline is December 8, 2009. Jeri Ready-Smith has a copy of Temped by P.C. & Kristin Cast. Ends Nov. 5. Fangs, Fur, and Fey is holding Happy 3-year FFF Anniversary contest with some incredible prizes. Ends Nov. 13. If you participated in the Vamp Bash this past week, the winners of the contests have been posted. The Book Smugglers celebrate Halloween week with a review of The Films of John Carpenter plus a post by Meljean Brook on the film Silver Bullet. The misfits from the hot British dramedy "Being Human" will face another challenge: being American. Syfy has handed out a 13-episode order to a U.S. version of the BBC show from RDF Media USA. Here's the 2nd trailer for James Cameron's Avatar - sorry about the commercial up front. Catherine Karp at Suburban Vampire features a profile of writer/director/actor/musician Annalee Autumn. Autumn's short film "Blood Bound" was a part of this past weekend's Vampire Film Festival in New Orleans. Definitely worth a look. Read the interview. Join debut Urban Fantasy authors Kelly Gay (The Better Part of Darkness) and Kelly Meding (Three Days to Dead) for a month-long release celebration. Stop by their blogs on November 1st (http://kellygay.blogspot.com or http://chaostitan.blogspot.com ) for information on giveaways, interviews, and a quiz! They'll be giving away several signed copies of their upcoming releases, as well as other prizes. NOTE: I will be having both Kelly's here on December 2 for a joint guest interview. Don't miss it! Lurv a la Mode does a terrific profile of Young Adult releases over the next few months. My TBB is groaning already. Richelle Mead has the French cover for Succubus Dreams. 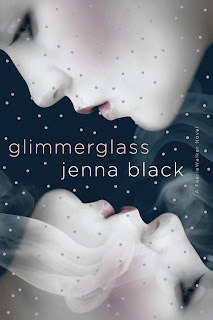 Dark Faerie Tales has the cover for Glimmerglass by Jenna Black. More cover silliness over at Odd Shots. Meljean Brook's Demon Forged is again the victim. Abigail at All Things Urban Fantasy asks the question How Much Do UF Covers Influence your Purchases? Check out the Dan Dos Santos cover for Silver Borne by Patricia Briggs with out the lettering. According to Forbes, the creator of Middle Earth is the 5th top-grossing dead celeb. Jeaniene Frost points us to this halloween video of urban fantasy / paranormal romance authors Jill Myles, Ilona Andrews, Meljean Brook, Nalini Singh, and Patrice Michelle, as you've never seen them before. As long as I’ve been working on it, I thought I would feel miserable to end my story. I really expected that typing “forever” would have me busting out in tears. Instead, I felt a moment of overwhelming satisfaction – the kind you can’t fake – and then a sense of peace. - Lynn Viehl commenting on concluding her StarDoc Series. I love the author pictures for Candid Camera! I can't wait for December 18th! Avatar looks like it's going to be epic. I hope your having a fun Halloween! I so dig the Supernatural clip, fifth season isn't aired here at the moment and fourth season ended with one hell of a bang. As always your reports are a smorgasbord on info and links, thanks Doug! Thank for posting my pic - I think LOL - seriously it was a fabulous day. Again I bow down to your fantasticness. Love the trailer for Avatar - looks really awesome.